The Muslim Judicial Council (SA)’s 70th Anniversary year is dedicated to commemorative programs which started on the 10 February 2015. These programs give recognition to senior religious leaders across the Western Cape who have kept the religious fibre, moral values and legacy of Islam alive for decades. Whilst religious leaders are honored and recognized for playing a vital role towards the spiritual and social development of the community, factors which break down values, relationships and spiritual connection have impacted hugely on the well-being, growth and development in certain areas. The Council has broadened its outreach program and visited Manenberg to listen to the religious leaders who are active in these areas. 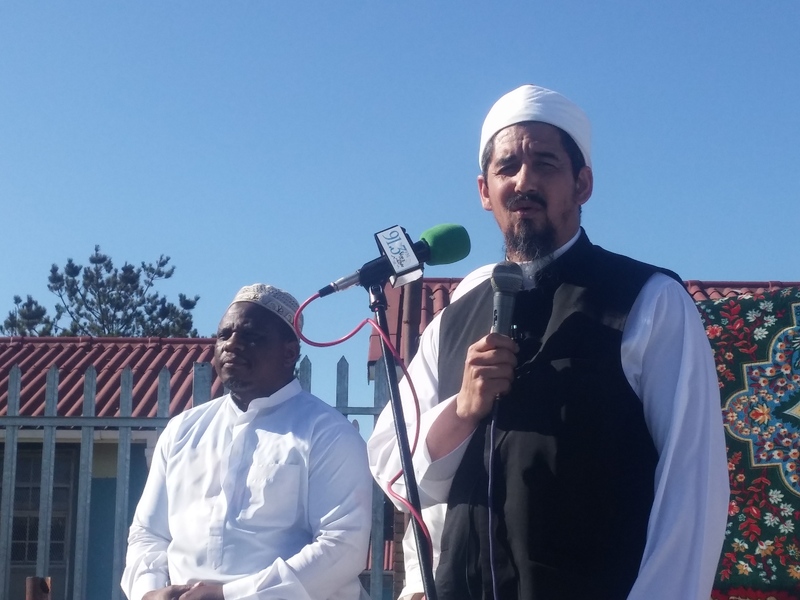 The MJC leadership has thus given attention to the religious leaders who whilst they strive to enrich their community with spiritual guidance and religious instruction, are embattled with crime and socially destructive behavior that breaks down the social fibre of communities in Manenberg and surrounds. On Saturday 28 November 2015, the MJC leadership met with religious leaders in Manenberg in order to gain insight into the socio-economic challenging that plague their community, to give them support and encourage broader input and contribution towards healing the affected communities and families. Representing Manenberg and surrounds was MaulanaAbdurahman Abrahams, Hajji Sulaiman Peters, Ml Leak (Mitchell’s Plain), Ml Fortune(Mitchell’s Plain), ShaykhFaried Majiet (Belhar), Ml Samaai (Belhar), Ml Alawi(Khayelitsha), Ml Lamara(Mitchells Plain) and Sh Saliegh (Manenberg)to name a few who came from as far afield as Saldanha, Worcester, Northern Suburbs and Mitchells Plain who came to show solidarity and to express their concerns about their own areas affected by social-economic and destructive behavior. The group shared some of the behavioral problems rife in the community such as immorality, lack of values, use of drugs, violence, theft and disrespect for themselves and others with the President of the MJC, Ml Ihsaan Hendricks, the Deputy President, Shaykh Riad Fataar, Sec General Ml Abdul Khaliq Allie and Shaykh Isgaaq Taliep, Ml Appleby and Sh Zaid Dante. A strong message to the community was that they should be part of the solution and not to be part of the problem. Religion provides a blue print for righteous behavior, is a guide towards upholding the best character, provides the motivation to love and follow the noble qualities of the Prophet Muhammad Peace Be upon Him. viiii) lack of unity towards addresses the vice and a need to work closer with SAPS. The meetings concluded with a commitment that this project will enjoy the attention and continued support of the MJC and that the community should take comfort in the fact that all stakeholders recognize their plea for help and that together we can save the people who wish to rear their children in peace, security, safety and in the comfort of a nurturing environment. For further information, please contact Ml Abdul Khaliq Allie on 083 408 1071.